Here’s a little something to keep up your sleeve after an indulgent weekend; something that will trick your taste buds into thinking there’s a party in your mouth despite just 3g carbs and well under 100 calories per serving. Comforting the Monday blues never looked so saintly! 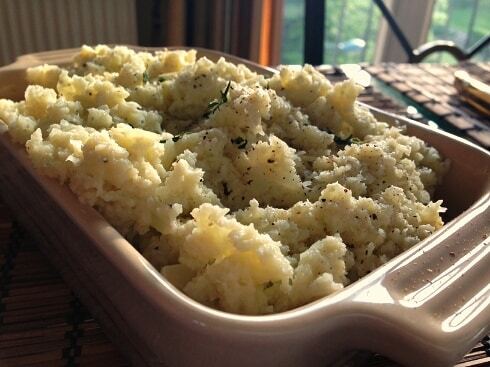 Now, the humble cauliflower isn’t known for its delicious flavour… or any flavour really. But given that an entire cauliflower contains a pathetic 153 calories (that’s 39 calories per serving), you can really afford to add in some extra bits! Optional: a drizzle of cream. 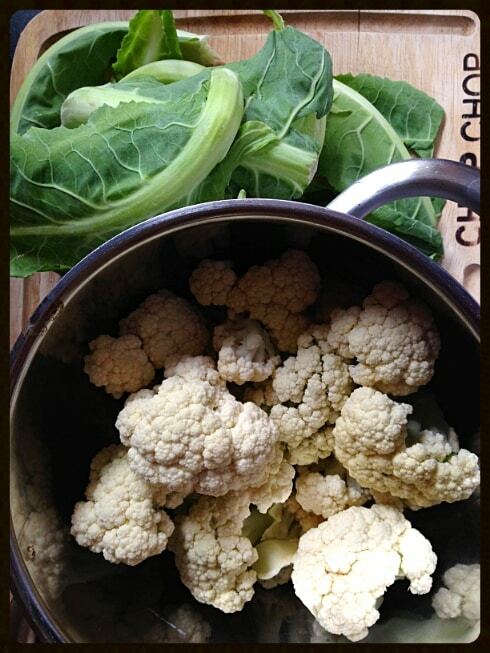 Boil the cauliflower for 10-12 minutes. You need to make it soft for a smooth mash, whilst not completely annihilating that fibery goodness. Whilst it’s boiling cook the onions and garlic in a little butter & pepper until soft and finely grate your cheese. When ready, drain the cauliflower and return to the pot with the onions & garlic. 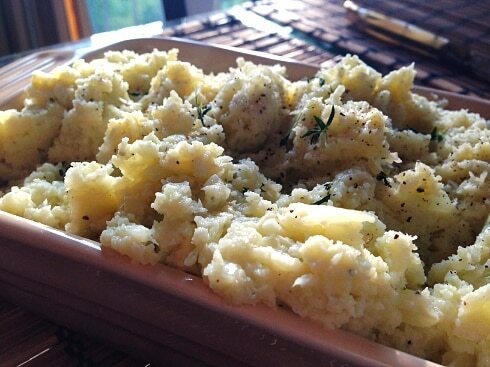 Season, add another knob of butter and mash. To get a more even texture you can then food process for a few seconds. Finally you can add the cream and cheese. Cream is optional for extra health points, but it does add a richer texture to the dish. Crack some pepper on top with a sprinkling of fresh thyme and you’re ready! Looks good huh? 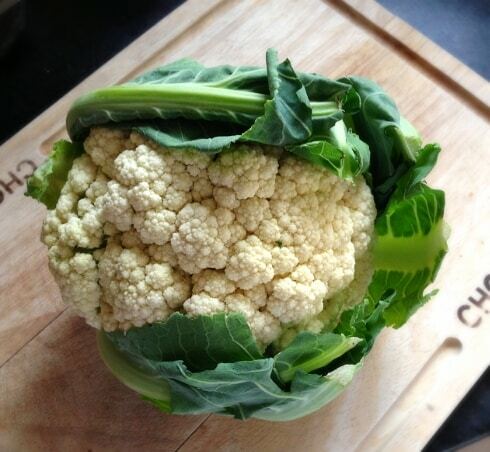 The great thing about cauliflower is that it really does look very similar to the real thing so your eye is fooled! The texture is undoubtedly less creamy and luxurious than mashed potato, but with the garlic, onion & hint of cheese it tastes just as rich. 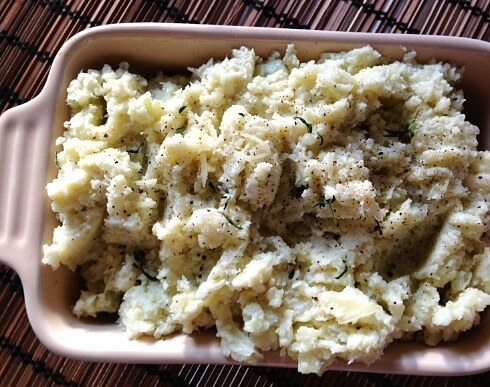 A very tasty alternative to mashed potato with half the calories and less than one quarter of the carbs, hoorah! Wow that looks great! I’m going to try this tonight! Update: it was LOVELY, soooo creamy! I’m glad you liked! It really feels like you’re eating a starch, doesn’t it?